Louise became a tenant at Lincoln House in September 2011. She practices in criminal, regulatory and civil law, and has experience of personal injury law, clinical negligence and mental health/mental capacity law. Prior to joining Lincoln House, Louise read Law at Cambridge University before going on to study for an MPhil and PhD in Criminology at the Institute of Criminology at Cambridge University. Her PhD investigated how judges exercise discretion when sentencing mentally disordered individuals, and how psychiatrists and probation officers exercise discretion when preparing pre-sentence reports. She is consequently very familiar with mental health policy, legislation and case law. She studied the Bar Vocational Course at Manchester Metropolitan University, and was awarded a Commendation achieving the highest mark in the Criminal Litigation exam. She was also the Richard Isaacson Scholar in 2010. 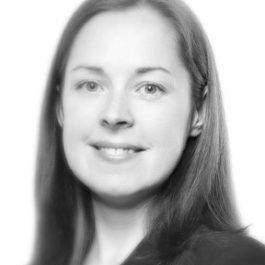 Louise is also a Lecturer in Law at the University of Central Lancashire, and teaches criminal and civil litigation, criminal law and the law of evidence. She is assistant editor of the Archbold Magistrates Courts Criminal Practice publication, a role she has held since 2003, and is sentencing editor of the Archbold Review journal.